We are having our next internal challenge and this time, it is a rowing challenge! It will be very similar to the running challenge, teams of 3 that we make in order to ensure a completely level playing field. The challenge will begin during the week of November 5th. 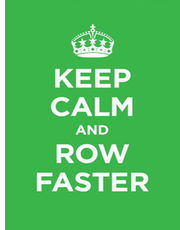 On November 5th, we will row a 2k for time in class, which is how we will determine teams. Can’t make it on the 5th? No big deal, you have the whole week to do the row, just take a photo of your screen at the end and show it to any coach who will validate it for you. Teams will be posted on November 12th. The challenge will go all the way until February 9th, where all teams will complete a 12k team row for time, broken up however you want (again, if you can’t make it that day, your team just needs a photo of their screen at the end). The top 3 teams will receive CASH prizes, as well as goodies! In signing up for the challenge, you will receive 3x/week endurance programming that you can choose to do in order to perform better in the final event. We will also hold a rowing seminar that is free for everyone signed up for the challenge. The date of the rowing seminar is TBD at this time. Registration is $25/per person and registration will be open from 10/29-11/11. The more people that sign up, the bigger the cash prizes for the winners.